There are those individuals in life who don’t really need an introduction. Further, and more rare still, are those whose life is a legacy and living testament to a way of living, not just a creed. Tony Thompson is just such an individual. 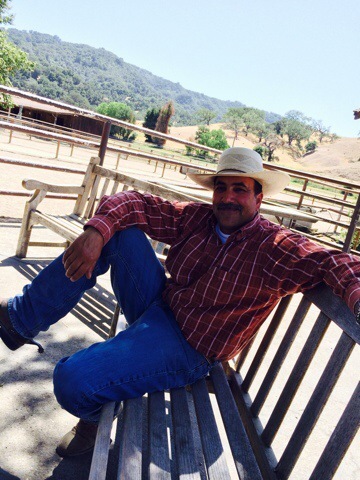 Tony is one of the “landmarks” at Alisal Guest Ranch and Resort and has established a rapport with countless individuals and families over the years. 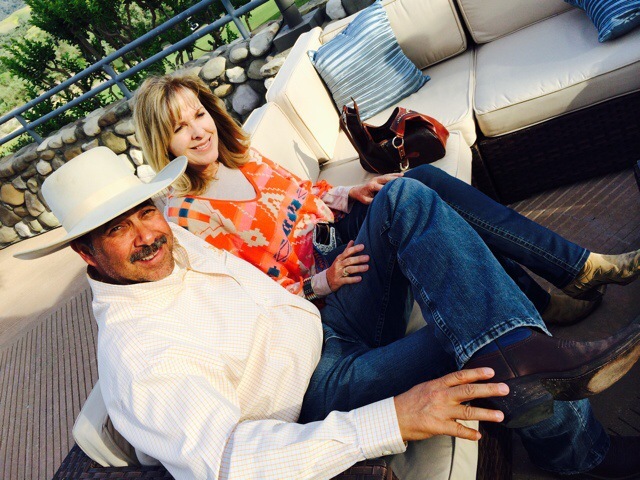 Many guests actually consider him family and seek him out personally every time they come to the ranch. And if you’ve enjoyed dinner in our dining room, Tony is often seen making the rounds table to table to make sure everyone is signed up for their ride the next day as well as visiting with guests. Being a real cowboy and wrangler isn’t just a play hobby. It’s a way of thinking, living and breathing and it only comes from baptism by fire, being thrown into it and making it your own. It’s a “toughening up” and at the same time, a mellowing process – both of which take the individual to a more wise and centered state of being. Tony has proven himself among the most authentic there is in this field and Alisal is so pleased to have him among their staff, with his professional experience, talent and wisdom. While many of you may know Tony’s career, what this BLOG post will focus on will be some of the nuances that add that special something to a man that make him who he is. We could talk about how he actually did not grow up on a ranch but rather started his career at age 17 by spending summers on a friend’s ranch; or we could talk about how he spent years out on remote California ranches of 26,000 acres plus , had a brief rodeo career and worked at Alisal Guest Ranch and Resort off and on throughout the years, splitting his time between wrangling horses at Alisal with the Alisal Cattle Department before he became Head Wrangler. We could also talk about all his technical expertise with caring for horses and how he understands them body and soul and loves them passionately. But this interview is going to focus on some subtleties of Tony in making him who he is. What’s the best thing that ever happened to you? My wife, Colleen, who I met spontaneously 18 years ago. She keeps me grounded. What’s your secret for a long-lasting marriage? Things are even. There are no dramatic highs and lows. We have fun. We are honest. What motivates you and gets you moving in the morning? I love teaching and mentoring and I love my staff. We are tight-knit. I’m very hands-on with horses and I love the opportunity to work with and inspire my team. My motto is “show, don’t tell” , when I teach and train. The other thing I love is the established and meaningful relationships I build with our Alisal guests. I look forward to seeing them during their visits and working in the outdoors. But I suppose what I love most is that every day is a new day. I get up, put my boots on, come to work and nothing’s the same as the day before. There is a different story every day, and it keeps life fresh and inspired. Just like people vary from day to day , horses have personalities, too, and every day we figure out what “mood” our various horses are in and custom choose ones ready for the day for our guests. There is never a dull moment and I love it. What is your recommendation for first time Alisal Guest Ranch visitors? Take a riding lesson. It’s a great way to get oriented. You get one- on-one time with a wrangler and really learn. If you’re not sure if a group ride is for you, or what level (or even if private lessons are for you), talk to one of our wranglers at the barn. They are all skilled in helping you make the best choice to maximize your experience with us. What is your personal favorite Alisal activity? Meeting new guests! What is your favorite Alisal food item off the Alisal menu that you think every guest should try? The Peanut Butter Pie! What is “the Cowboy Way”? The best way I can describe it is this: it’s not pointing out mistakes to make someone wrong because your way is better. It’s “showing, not telling” and then backing off. It’s subtlety. It lacks pride. And it never, ever needs to take the credit. The next time you come to the ranch, make sure you go up to Tony and let him know you learned a bit more about him here and ask him to elaborate on some of his preferences and stories from this post. It will make for some fun and inspired conversation to add to your visit experience. 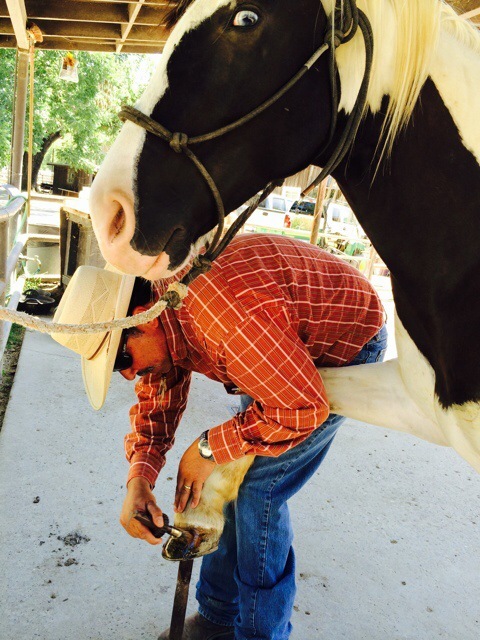 For more information about Alisal Guest Ranch and Resort, visit our Website.